United Methodists around the world are offering prayers and warm wishes to Pope Francis I – the first pope from the Americas and the person who will now set the tone for the Roman Catholic Church’s ecumenical relations with other Christian traditions. 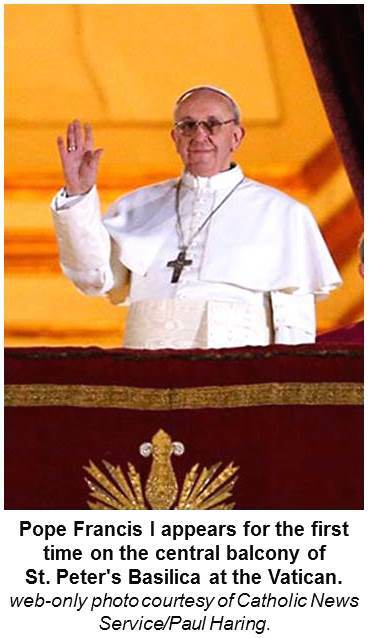 Cardinals of the Roman Catholic Church selected Cardinal Jorge Bergoglio of Argentina as the 266th pontiff on the fifth round of voting on the second day of the papal conclave. The 76-year-old Jesuit – the first of that order to become Pope – will lead a global denomination of about 1.2 billion members. The United Methodist Church, in comparison, has about 13 million baptized and professing members worldwide (or a just a tad more than one percent the size of the Roman Catholic denomination). Bishop Mary Ann Swenson, the United Methodist Council of Bishops ecumenical officer, said the election of a new pope matters to United Methodists and others in the Christian faith because Jesus called his disciples to work toward unity. She noted that today, there are an estimated 43,000 denominations within the Christian faith, but that just adds to the urgency of the call for ministering together. Bishop Swenson said relations between members of the Methodist movement and Pope Benedict XVI were good. On one ecumenical trip to Rome, Swenson gave the previous pontiff a copy of “Three Simple Rules: The Wesleyan Way of Living,” by United Methodist Bishop Rueben P. Job. She said she hopes that the relationship will deepen under Pope Francis I and that the denominations can continue to work together on issues of global migration and a shared focus of both Catholics and United Methodists: ministry with the poor. 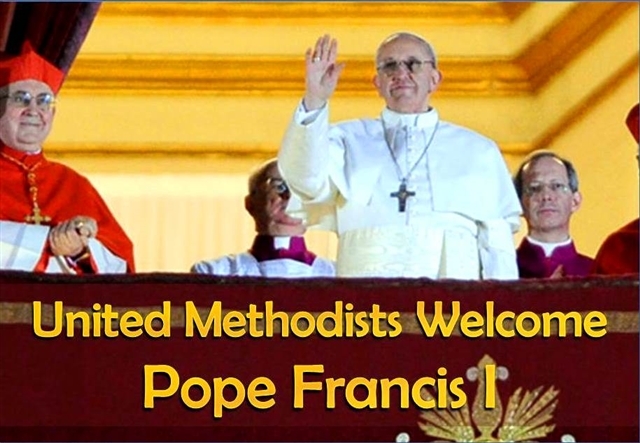 United Methodists around the world have long joined with Roman Catholics in shared ministry and worship. For more than 40 years, United Methodist and Roman Catholic leaders also have conducted dialogues on topics ranging from public education to Holy Communion. Most recently, United Methodist Bishop Timothy Whitaker, now retired, and Roman Catholic Bishop William Skylstad of Spokane, Wash., completed the seventh round of the dialogues in 2012 with a paper on Eucharist and ecological stewardship. The Rev. Juan Gattinoni, an executive of United Methodist mission relations in Latin America for the Board of Global Ministries, works in Buenos Aires and knows the new pope personally. Gattinoni noted that as a cardinal, Bergoglio was engaged in the distribution of bibles and was the first to sign a proposal approved by Argentina’s National Congress to designate Sept. 30 as the country’s day to celebrate the Bible. Bishop Frank de Nully Brown, who leads the Evangelical Methodist Church in Argentina, said the news of the election of an Argentine pope was unexpected. The Evangelical Methodist Church in Argentina is an affiliated autonomous denomination in the Methodist movement. 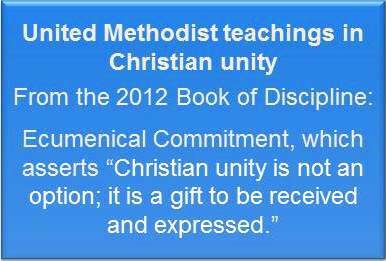 That means it is a self-governing denomination that has historical ties with The United Methodist Church. Noted theologian Stanley Hauerwas said it’s even more remarkable that the Catholic cardinals elected a Jesuit than that they elected a non-European. Hauerwas is a Gilbert T. Rowe Professor of Theological Ethics at United Methodist-related Duke Divinity School and Duke Law School in Durham, N.C.
“That he’s a Jesuit says so much about his commitment to the poor, and that he’s taken the name of Francis — in recollection of St. Francis of Assisi — clearly gestures that the Roman Catholic Church not only serves the poor, the Roman Catholic Church is the church of the poor,” Hauerwas said. It’s also remarkable, he said, because the Franciscan and Jesuit orders have not always gotten along. The new pope’s name also may have referred to St. Francis Xavier, one of the 16th century founders of Jesuit order that is known for its scholarship and evangelism. United Methodist Bishop Sudarshana Devadhar of the Boston Episcopal Area had asked members of the New England Annual (regional) Conference to pray for the papal conclave as it met this week. He told United Methodist News Service late March 13 that he rejoiced in Pope Francis I’s election. *Heather is a multimedia news reporter for United Methodist News Service. ***Vance is the director of Communications & IT for the Central Texas Conference UMC..